Although we always try to take good care of our teeth, sometimes accidents happen. Whether it’s a missing filling, a chipped tooth, or damaged enamel, we will help you get back to smiling in no time! If you have tooth decay or a cavity, we will remove any damage left behind and fill the space with a tooth coloured filling to get your teeth feeling and looking better than ever. For chipped teeth, or those affected by root canals and heavy fillings, we offer tooth shaped “caps” to protect your teeth and hide any damage. Crowns cover the entire surface of the tooth to prevent any further breakdown of damaged teeth while restoring your smile back to normal. An inlay is an alternative to a crown, using porcelain, gold, or composite resin to fit inside the damaged part of the tooth. They are great for teeth with ongoing issues or multiple cavities, as an inlay will prevent further decay and correct any damage left behind. An onlay, or “partial crown” is used on damaged or decaying teeth, fitting outside the tooth to prevent further damage and restore a natural feel. Designed to cement to your natural tooth, onlays provide wider coverage than a filling or inlay while allowing for a permanent solution for damaged teeth. 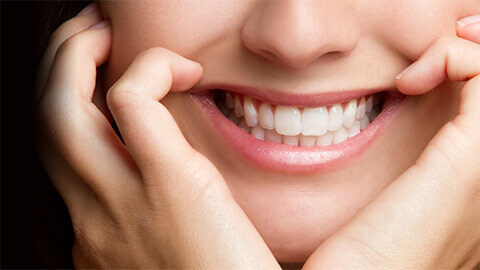 A dental bridge is an easy solution to restore a natural smile where there are missing teeth. A bridge is cemented to your natural teeth for a comfortable fit and natural look that will last a lifetime. No matter what type of dental restoration you may need, our friendly staff will help you get your smile back in no time. Call us today and let us help you choose the right option to keep your smile healthy.